We welcome all our users and would like to share the Terms and Conditions of Use with you. Any services provided by and on Dexter Holidays are subject to the following Terms and Conditions (henceforth T&C ). If you use this website it is deemed that you agree to all the terms and conditions that follow. There may be additional terms for particular features provided. Please click on the link other terms to review these. In the event that there are any inconsistencies between T&C here and any additional terms, T&C will prevail. On our site you will find valuable traveler information, search for and find travel and travel related products and services as displayed that you may book and buy online or offline from Dexter Holidays. Dexter Holidays is not the end travel product / travel service provider and hence is not directly responsible for the end delivery of the travel products and services being offered on the portal. Our aim is to make your search easy and accurate and to enable you to book and buy travel products and services conveniently through us. The final delivery of the product / service lies with the end service provider (ie. Airline, Hotel, Cruise Line etc.) and Dexter Holidays disclaims all responsibility/ liability for the same. 1. Right to Review and Amend etc. These terms and conditions, as amended from time to time, will apply for the duration that you use the website. On registration with Dexter Holidays, you shall bind yourself to provide true and accurate and complete information in both optional and mandatory categories as required in the registration form or elsewhere. Dexter Holidays has the right to disallow you to transact on site if and when it has reason to believe that the information provided by you is incorrect, inaccurate or incomplete. You will be required to choose a username and a password to enable use of your account. Keeping the username and password confidential and secure from misuse is entirely your responsibility. Any transaction (as defined above) or use or activity from your account, giving rise to any liability, monetary or legal or otherwise, are your responsibility. Where you have reasons to suspect that there may have been unauthorized use of your account or any breach of security you must immediately inform Dexter Holidays. Dexter Holidays will not be responsible, under any circumstances whatsoever, for any losses that are incurred due to any misuse of your account by another, with or without your consent or knowledge or by yourself. You must ensure that you exit your account when you end your visit to Dexter Holidays. Also if any losses are incurred by Dexter Holidays or any other person due to misuse of your account by another it will be your responsibility and at your cost. To transact you must have the legal capacity to enter into this agreement (i.e. You are above 18 years of age and are of sound mind ). Dexter Holidays does provide services that may well be availed by children/minors. If you allow children to use your account it will be your responsibility to monitor their use and liability will be yours in the event that there is breach of this T&C. Subject matter - Information, not in the public domain; software made available to use and/ or download; any name, symbol, device, phrase, sound, colour used as a distinguishing Mark to identify goods and/or services; any photograph, design, video clips, writings, illustrations, music, sound, found on the website. The portal and its logo are registered trademarks. Your use of the subject matter is restricted. You may not copy, reproduce, distribute, republish, down load, display or post (electronically or otherwise), transmit, record, reproduce without the prior written consent of the owner. You are being given a limited license to use the site. It is a license to make personal use of it. You may not modify the site or any part thereof. The site or its contents may not be used for commercial purposes. The site or any portion thereof may not be reproduced/copied or otherwise exploited for the commercial purpose. However you have the restricted right to download and print subject matter from this website for the limited purpose of using this website for a transaction/placing an order or other non-commercial and personal use. Any breach of this term shall give Dexter Holidays the right to terminate this limited, non-exclusive license. You may not use this site to transmit in anyway or post or upload any material or content.
. that may bring disrepute to the site and harm its business and or credibility and goodwill.
. that infringes a third party's intellectual property rights or contractual rights.
. that may hinder the services on the site in anyway. There are links to other websites on this site and these other sites are outside the control of Dexter Holidays. You agree that Dexter Holidays will not incur any liability for any loss or damage that you may incur due to using any service on that link or any transaction entered into on that other site. The fact that Dexter Holidays has agreed to have that link on its site does not imply any assurances or guarantees as to the quality and nature of goods and services being provided by that other site. You agree to indemnify and hold Dexter Holidays and its subsidiaries, affiliates, officers, agents, and employees, harmless from any claim or demand, litigation costs, made by any third party due to or arising out of the Content you submit, post to or transmit through the Service, your use of the Service, your connection to the message board and communication areas or your violation of the T&C, or your violation of any rights of any other party. i) Dexter Holidays has the right to disallow you from booking and/ or buying any products on the site; it may terminate or stall your account or use of the service at its sole discretion . ii) It may remove and discard any content within the Service, for any reason, including, without limitation, for lack of use, without notice. iii) Any actions on your behalf that violates or is inconsistent with the letter or spirit of the TAC will also make your account liable to be terminated. However you will be bound to clear all demands, if any, outstanding in your account. iv) Dexter Holidays may also, in its sole discretion and at any time, without notice, discontinue providing the service or any part thereof. v) You agree that in the event that Dexter Holidays exercises its discretion under the provisions of TAC to terminate your account or any service provided by it such termination is effective, without incurring any liability and without any obligation on the part of Dexter Holidays to give prior notice. vi) The effect of the termination can be immediate deletion of your account and denial of access. Further all other data and files in your account may also be deleted. - your use of the services on the website or of the website in any manner is at your own risk. - the site is provided by Dexter Holidays on an "as is" and "as available" basis. - to the fullest extent permitted by applicable law, Dexter Holidays and its associates and affiliates, expressly disclaims all warranties, conditions and other terms of any kind, whether express or implied as to the operation of the site or the information, materials, products, services included on this site. - to the fullest extent permitted by applicable law, Dexter Holidays expressly disclaims all warranties, express or implied including, but not limited to any implied term of merchantability, satisfactory quality, fitness for a particular purpose and any term as to the provision of services to a standard of reasonable care and skill or as to non-infringement of any intellectual property right. - No warranty or representation on behalf of Dexter Holidays, its associates and affiliates is given that: the quality of any products, services, information, or other material purchased or obtained by you through the site or any services provided by or on the site will meet your expectations, the site and /or any services provided by it will meet your requirements, the service will be without interruptions, always timely and secure or free from all errors, the results that may be obtained from the use of the site or any service provided by it will be accurate or reliable, any errors in the software will be corrected. - Any material/contents downloaded or otherwise obtained through the use of the site is done at your own discretion and risk. Dexter Holidays and/or its associates and affiliates do not warrant that this site, its servers, or any mail sent from Dexter Holidays will not have viruses or harmful components. If any damage is caused to your computer system and any losses accrue it will not be the responsibility of Dexter Holidays. You will be solely responsible for any damage to your computer system or loss of data that results from the download of any such material. Dexter Holidays, its associates and affiliates cannot guarantee the accuracy, integrity or quality of any contents. It is a possibility that you may be exposed to contents that are offensive, indecent or objectionable. Advice or information, whether oral or written, obtained by you from the portal or through or from the service shall not create any warranty or other obligation not expressly stated in the T &C.
. any other matter relating to the site.
. the failure of Dexter Holidays to perform their obligations under this contract where such failure is due to a force majeure event.. Jurisdiction for any disputes arising from and related to this contract shall be in chennai for those raised by the user and concurrently with chennai the geographical location of the user for disputes raised by Dexter Holidays. The applicable law shall be that of India irrespective of the conflict of laws. Dexter Holidays may amend this agreement on an as-needed basis by placing an update of this posting, and your continued use of the services following each updated posting shall be your acceptance of any such modification. Furthermore it is your responsibility to monitor the Terms and Conditions page of Dexter Holidays regularly to determine whether the Terms and Conditions have been modified. If you do not agree with the T&C of Dexter Holidays, or any modifications thereof to this agreement you must immediately stop using Dexter Holidays services. This agreement represents the entire agreement between the parties subject to the right of the portal to amend/delete/modify the contract under this agreement. Persons fulfilling the criterion set by relevant provisions of law relating to foreign exchange in India and Rules, Regulations and Guidelines issued by the Reserve Bank of India, whose passport is valid for at least six months subsequent to the date of departure of the tour. 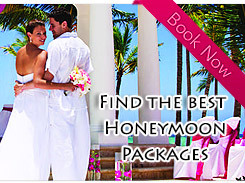 You can book your Tour Package through email or by visiting the Registered Office address of Dexter Holidays. You can also book in the Associated Office address given in our web site. You are requested to carefully read the Terms and conditions given along with the Itinerary of your Tour Package sent by Dexter Holidays. Once you approve the itinerary you have to send a approval mail confirming the tour package. Then you have to pay a non-refundable and interest free booking confirmation amount of Rs5000 per person. The said confirmation amount will be adjusted towards the cost of the holiday. In the event of cancellation of the holiday by the passenger after the payment of non-refundable confirmation amount for any reason whatsoever or failure to pay the entire holiday cost, the said confirmation amount stand forfeited. 1. You must produce your/ all the holiday participant’s original passport(s) when you book your holiday with us. 2. Cheques/ Demand Drafts/Bank transfers must be made payable to “Dexter Holidays Pvt., Ltd” only. You will receive an Official receipt from Dexter Holidays for the amount paid. Within 7 days of you paying the confirmation amount you must pay the balance tour cost. Your travel documents and airline tickets can be released only after receipt of Full and final payment. Delay in adhering to the final date advised to you for full payment will result in the cancellation of your seat on the tour and levy of Cancellation Charges. Hence the balance payment has to reach us as per the schedule mentioned. It is your responsibility to hold valid Travel Documents such as Passports, Visas,and confirmed air tickets to be able to travel on the Holiday. Each passenger should hold a passport valid for a period of at least 6 months from the date of travel. It is mandatory, convenient and safe to have the VISA clearance obtained by Dexter from the concerned Consulates/ Authorities on your behalf. Please note that it is totally at the discretion of the concerned Consulates/ Autorities to grant or reject your visas after you have submitted the relevant documents. Dexter Travel Solutios Pvt Ltd will not be held responsible for rejection of visas. We request you to submit the relevant documents within the stipulated time as informed to you at the time of paying the confirmation amount, thereby ensuring the issuance of correct visas and timely compliance of the Visa formalities required for the holiday you have booked. The cost of processing these visas will be included in the holiday price. All your documents for processing your visas must reach us well in advance prior to your departure date. Failure to do so would attract Urgent Visa Fees of Rs 1000 per person. However, payment of Urgent Visa fee does not guarantee issuance of Visa. It is extremely important for you to be in possession of valid Overseas Travel Insurance for the duration of your tour. Dexter Holidays will be arranging you Travel Insurance. The cost of Travel Insurance premium will be paid to the Insurance Company by Dexter Holidays. In cases of errors in the insurance policy or non- receipt of the insurance policy along with final travel documents, please immediately contact the company/agent from where you had booked your tour and get the same corrected/issued, as the company cannot be held liable for anything happening on the tour due to absence of valid travel insurance cover. After the initial confirmation booking on a particular tour and relative services, in the event of any amendment you wish to make; such as change of destination, change of departure date, addition or deletion of services,change in passenger numbers or such other change you will need to make a written request through email or in person and obtain an acknowledgement on the same from our Sales/operations Officer. The amendment may invite further cost which will have to be borne by you. Futher such requests are accepted by us subject to availability. After receipt of your full and final payment, you will be delivered our docket containing, Air Ticket, Travel insurance, Final Voucher + lists of services you are entitled to on the tour. You will be provided with a briefing sheet containing important/emergency contact details for your use. Ensure that you are carrying the above documents and your passport with all necessary visa endorsements before leaving on your tour. It is very important to confirm your retirn travel prior to your departing from India. Please note that Dexter Holidays shall not be liable or responsible for confirmation of travel on any other date other than the specified travel date. Any change in the date of the travel has to be dealt by the passenger at his own risk and with the airline directly. Dexter reserves the right to incorporate room surcharge during peak season months or during trade fair period, if applicable by respective hotels in certain destinations. The surcharged amount will be indicated during confirmation of the bookings. If circumstances make you cancel your Holiday, the cancellation must be intimated to us in writing. 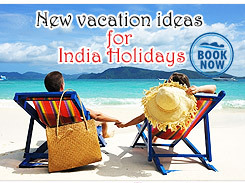 As per the booking conditions of the Holidays we are constrained to levy the cancellation charges as applicapable. Dexter reserves the right to cancel any holiday prior to your departure, without assigning any reason. Under such circumstances monies paid by you will be fully refunded forthwith in Indian Rupees currency only but no compensations are payable.